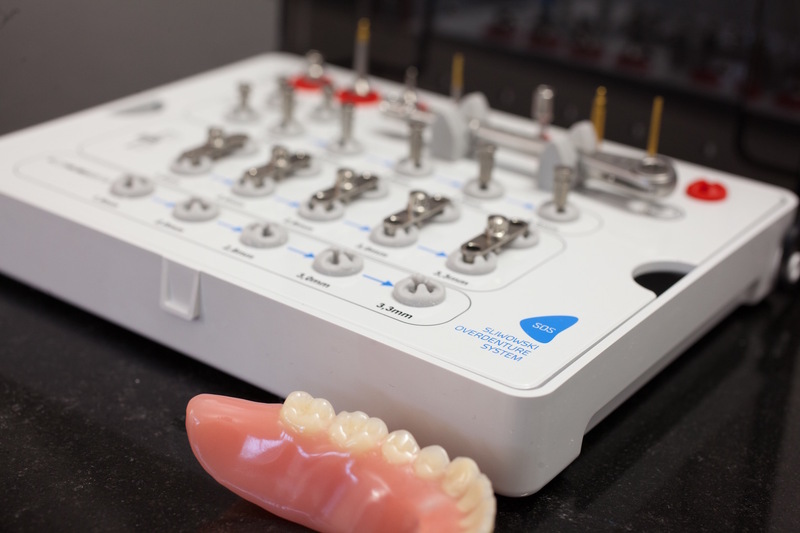 Dr. Christoph T. Sliwowski, Implantology specialist and head of Zahnimplantat-Klinik Düsseldorf, has developed a dental prosthetic system (SOS), that provides the toothless lower jaw with a fixed but removable dental prosthesis. This patented SOS system is unique and beneficial for you: with SOS, ill-fitting and loose prostheses, as well as long and painful treatment periods and high costs are a thing of the past. Depending on your individual requirement, your investment for the full treatment process will be about 3.500 E, which will improve your quality of life rapidly. Another benefit is, that the treatment is completed after just one session. Conventional methods are not only twice as expensive, they also require several months of healing time and multiple surgical interventions. If your lower jaw bone is in good condition and if you have an intact prosthesis, this comfortable and extremely favorable permanent will be at hand. You can look forward to a better quality of life with our patented SOS system. Only two implants are inserted into the anterior lower jaw. These implants will then be connected with a bar. The prosthesis will be placed on top of this bar and firmly closed with a bolt mechanism. In this way, the prosthesis will stay securely fixed in its place, yet can be easily removed for cleaning at any time. 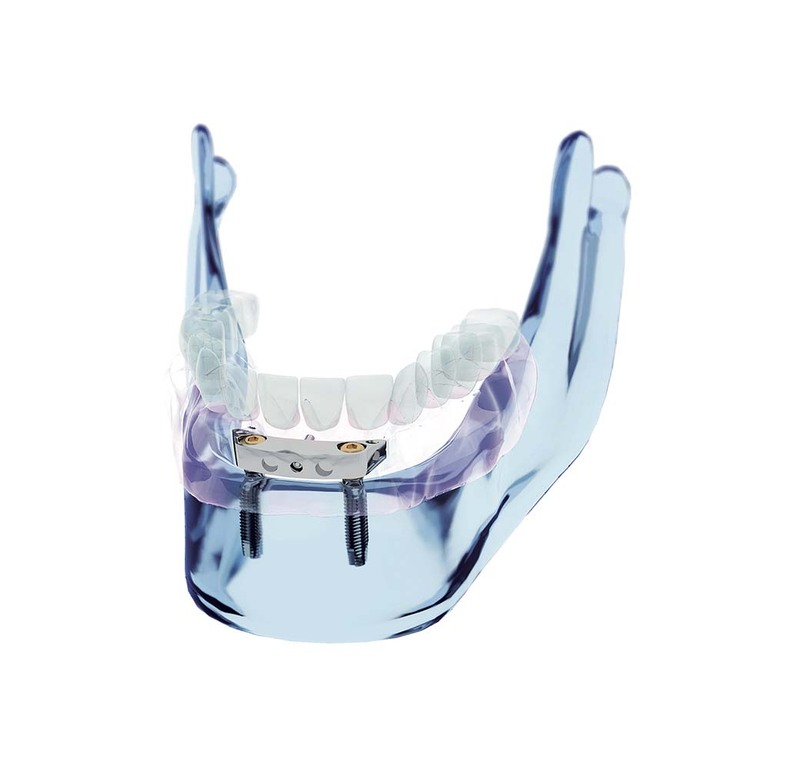 We recently started to provide an individual system for the upper jaw, called the SOS-4-Maxilla.